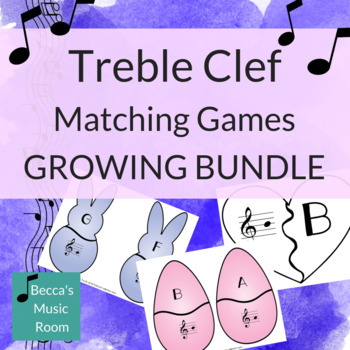 The treble clef matching games allow students to match letters and notes on the treble clef. This bundle currently includes $11 worth of resources for $9. That's a free resource PLUS the new ones that will be coming out!